I recently attended the most impressive 2016 Global Wellness Summit in Kitzbuhel, Austria, an international gathering of wellness industry providers. I was privileged to come away with what I believe is a glimpse at the future of the spa industry, one that today’s businesses can choose to either ignore or embrace. The modern spa is about to get a giant makeover. Once a place to merely relax and be nurtured, it will become a refuge from the noise and stress of technology, traffic and crammed schedules. Riding a wave of new evidence linking general wellness to improved disease prevention, happiness, and longevity – brought about by factors including healthier eating, better sleep, meditation and spirituality – the spa could also play a larger role in personal well-being than the traditional gym, doctor’s office or drugstore. 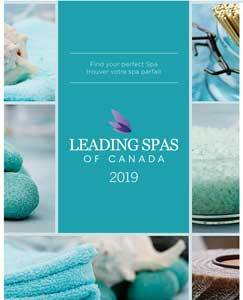 What we are seeing is a paradigm shift from the concept of the spa as a location where a traditional skin care or massage experience is delivered to a department store stocked with a panoply of wellness products and services. As researchers continue to unlock the secrets of well-being, a continued metamorphosis seems inevitable. The scientific evidence for the need for wellness is irrefutable and mounting. In his hour-long keynote speech at last year’s GWI summit in Mexico City, internationally acclaimed physician, guru and prolific bestselling author Deepak Chopra talked about the incredible power of epigenetics: the ability of the body’s genes to literally respond and adapt to external forces in a way that strengthens the body against disease and degeneration. “We can prevent most chronic illnesses and even reverse a lot of diseases,” Chopra told a rapt audience. I believe educated and evolving consumers will inevitably cast aside the many culprits in our disease-ridden society – chemical-laced processed food, sedentary lifestyles, sleep deprivation and addictions to devices, to name a few – in favour of a new commitment to healthier physical and spiritual living. The GWI agrees. “We predict that consumers, governments and employers will continue to spend big on wellness because of these megatrends: an emerging global middle class, a rapidly aging world population, a chronic disease and stress epidemic, the failure of the ‘sick-care’ medical model (resulting in uncontrollable healthcare costs), and a growing subset of (more affluent, educated) consumers seeking experiences rooted in meaning, purpose, authenticity and nature,” says GWI’s senior research fellow Ophelia Yeung. An example of wellness making inroads into the conventional workplace is in downtown Toronto, where TD Bank’s newly renovated offices are the first in the world to be WELL Certified by the International WELL Building Institute (under the WELL Building Standard as applied to new and existing interiors). This new workplace promotes health and wellness by including more than 60 WELL features in its design: optimal lighting; enhanced water and air filtration; nourishing vending machine items; custom-designed, more ergonomic chairs and desks; and even a tranquility lounge. With wellness sectors already representing a $3.7 trillion economy, the demand for services is outpacing their supply. 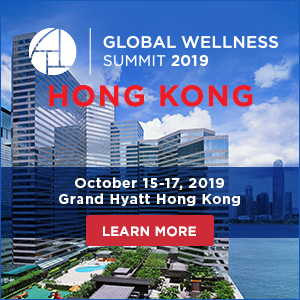 Jean-Guy de Gabriac, founder of Tip Touch and Chairman of GWI’s Global Career Development initiative, says spas will require an additional 400,000 trained therapists and 70,000 experienced managers/directors by 2020. As Yeung implies, there’s a lot that people can do on their own, but also a huge role for spas to fill. I believe it is imperative for us as an industry to attract talented individuals who can take up the torch and walk forward to enlighten and empower themselves and our valued spa clients with the knowledge of the power we hold within ourselves. 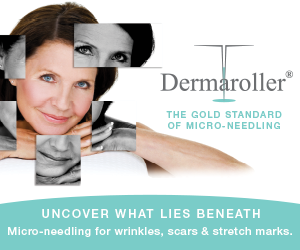 Customers will be looking for services far beyond traditional skin care and massage treatments. And they’ll go where they have to, to get to them. Will that place be your spa? 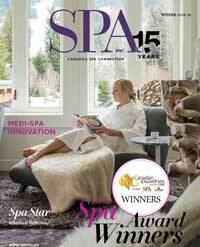 Vivienne O’Keeffe is President of Spa Profits Consulting Inc. and an expert in designing successful spa concepts. She is also an international consultant in developing product lines, treatment plans and training programs, a member of ISPA and Spa Industry Association of Canada (for which she won an Outstanding Achievement Award in 2012), and a member of International Management Consultants Inc.